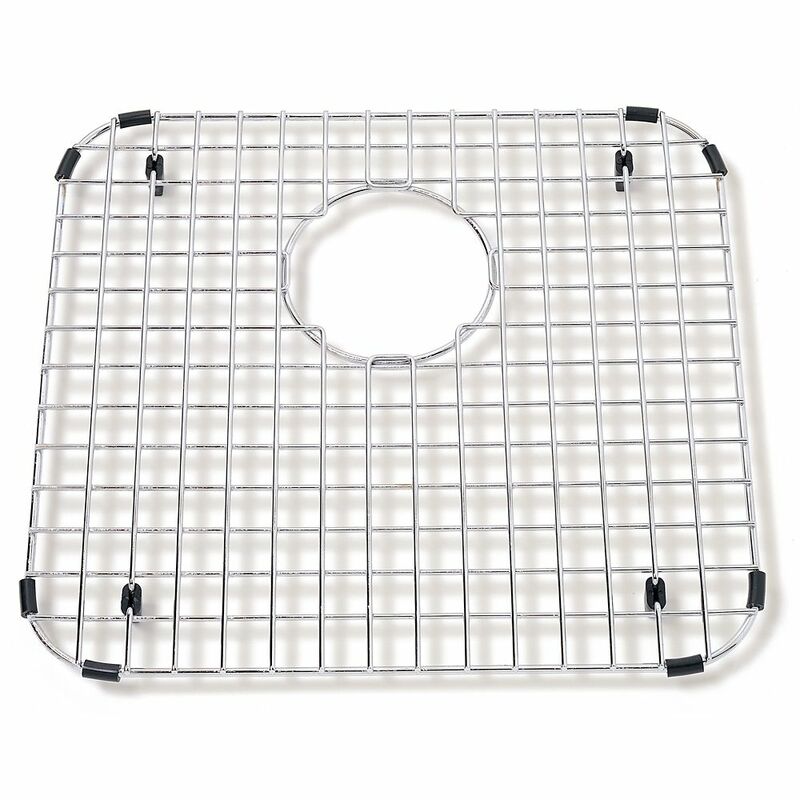 Kindred SS wire bottom grid - 14-1/4" X 15-1/4" X 1"
SS wire bottom grid - 14-1/4" X 15-1/4" X 1" Stainless steel bottom grid to protect sink bowl from scratches. Includes rubber feet, side bumpers, and hole for access to sink waste hole. Dishwasher safe and heat resistant.